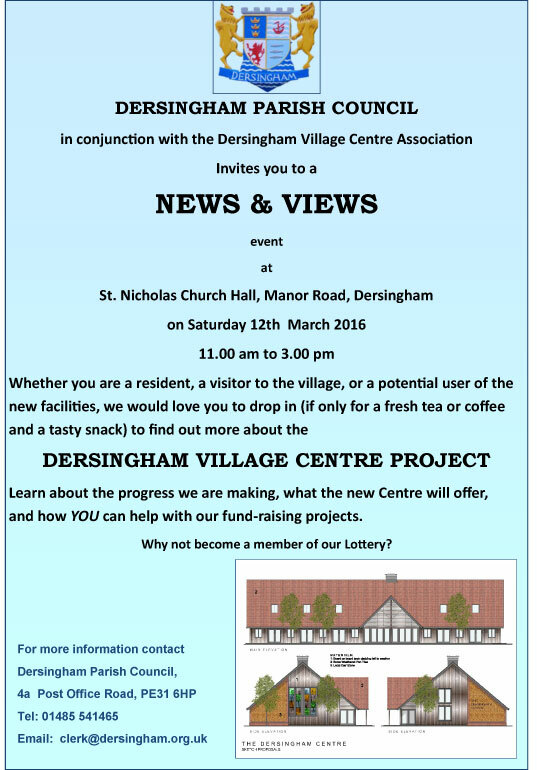 To raise public awareness of the plans for the new Dersingham Village Centre there will be an open day in St Nicholas church hall on Saturday 12th March. Come along and see what it’s all about, what the new Centre will be used for and how you could help with fund-raising. 11am – 3pm Saturday 16th March 2016. Two great films coming up soon at the Dersingham Village Cinema. In April ‘A Walk in the Woods’ tells the tale of writer Bill Bryson’s trek along the Appalachian Trail, accompanied by a rather accident prone friend. If you’ve read any of Bryson’s books you will know that this is going to be hilarious, and it is. Plus it stars Robert Redford, what more needs to be said! But sorry, we are not now going to show it because the distributor wants too much money. 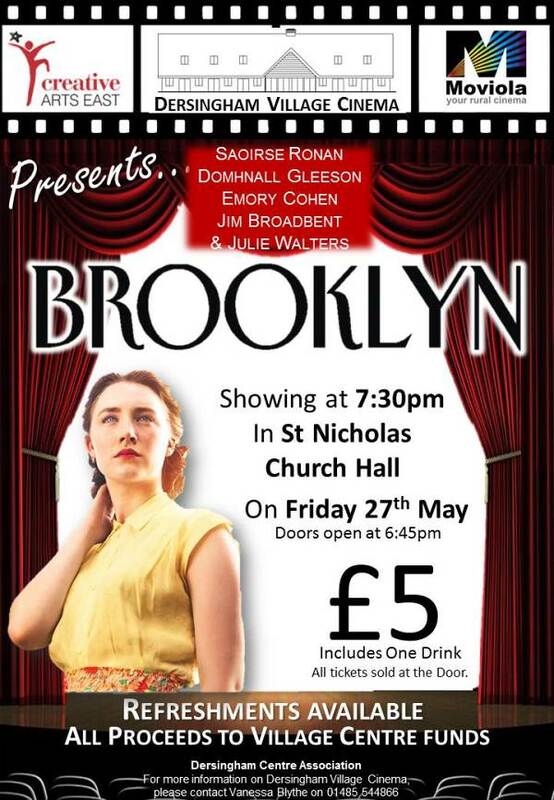 If historical drama is more your cup of tea then don’t miss Brooklyn, showing on Friday 29th April. The film stars Saoirse Ronan and Julie Walters, with Ronan narrowly missing out on the best actress Oscar this year. Set in 1952, it tells the story of a young Irish woman’s immigration to Brooklyn, where she quickly falls into a romance. When her past catches up with her, however, she must choose between two countries and the lives that exist within them for her. 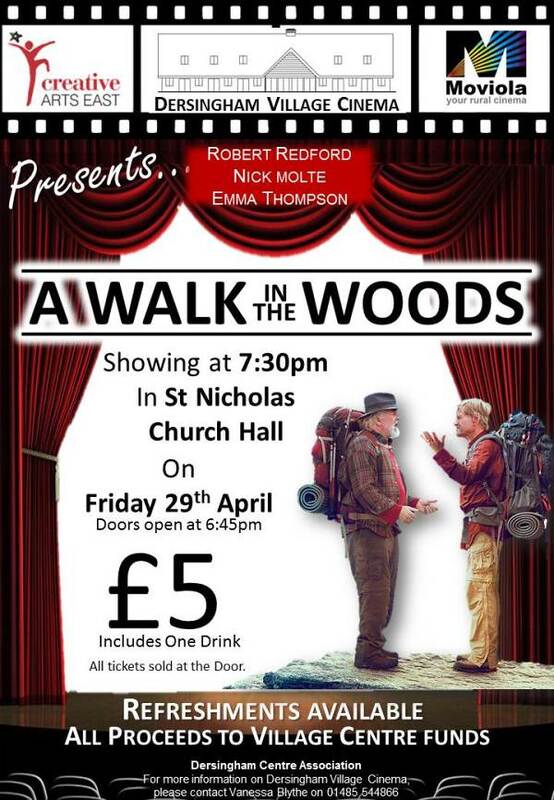 This was originally scheduled for 27th May but will now be shown on the 29th April. The May film will be the Bond spectacular, Spectre. 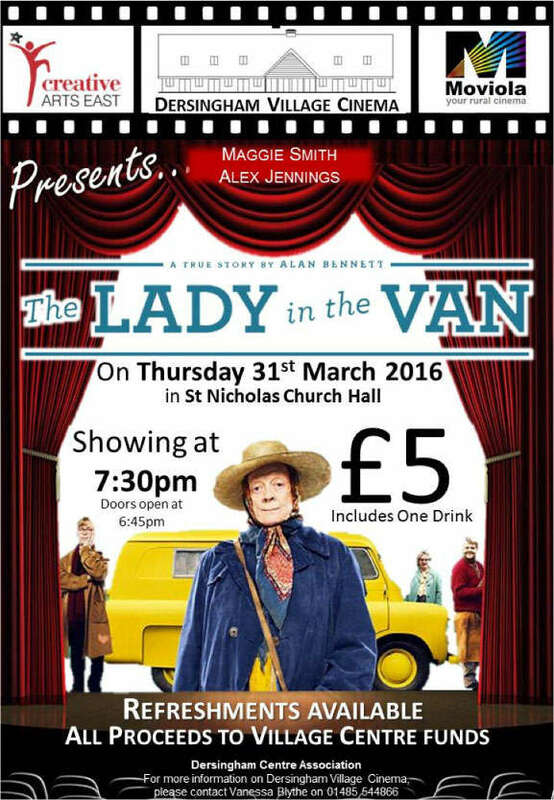 Both films start at 7.30pm, and proceeds from ticket sales will be shared between St Nicholas Church and the new Village Centre fund.